Wide player Nick joined Watford from Carlisle United in the summer of 1998 in a deal which also brought Allan Smart to the club. He was at the club for five seasons, however all but the first season were hit by injury. He scored a memorable overhead kick in the 1999 play-off final at Wembley. 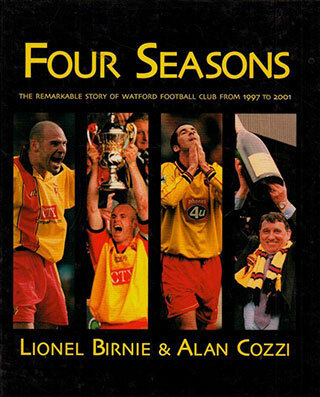 Watford Legends spoke to Nick in 2008. Hi Nick, were you at Derby with a certain Mr Ramage? Craig Ramage – arguably the most talented player I have played alongside. A few other very good players such as Matt Jansen. Craig Ramage had unbelieveable talent. He had a good arrogance, but never worked hard enough to get the most out of the game. His passing and an eye for a ball were outstanding. How did you come to sign with Allan Smart from Carlisle in 1998? It meant being away for Christmas. It went well. 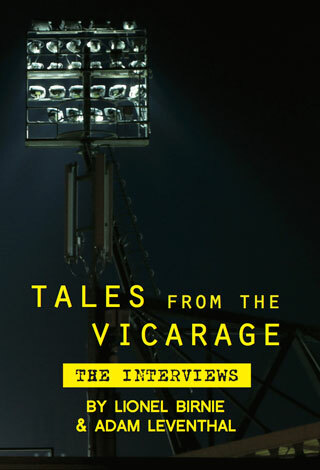 Derby recalled me, but the Carlisle fans wrote to Jim Smith to ask what I wanted to do, and I said that I wanted first team football, and that I wanted to go. I was part of the deal that took Rory Delap to Derby. It was great. It was good to see everyone again. At Carlisle we played away at Watford. I remember Alec Chamberlain had a blinder. After 10 minutes of the second half Graham Taylor got Steve Palmer to man-mark me, which was strange because that had never happened to me before. We lost the game 2-0, but didn’t deserve to. After the game, Graham Taylor was stood outside the away dressing room and shook hands with every Carlisle player, and told us how well we’d played. This is unheard of for a home manager, but it really meant a lot. I found out a while later that he was interested in signing me. I liked him as a man, not just for football reasons, he’s a very family orientated man as well. He told me that he would not guarantee first team football, but if I was doing well enough, I would get in to the team. I then wanted to prove to him that I was amongst the best 11. Well we have to now ask about the goal. How much can you remember? I remember it all very vividly. I get reminded a lot about it now so I can’t forget it! A lot of people want to talk about it. Every now and then I’ll bump in to a Watford fan, and they always want to talk about the goal. Of course I’m always happy to talk about it! Okay then, let’s hear it from the horse’s mouth! I knew where my friends and family were sat so I headed in that direction. Paul Robinson nearly ended my career there and then with the rugby tackle. Fantastic memory. Yes I have. I contacted all the newspapers and they were fantastic, sending me all the pictures of the game. So I have a nice album full and a few on the walls as well. Of my two match shirts, I gave one to my parents and I have one myself. And of course I also have my medal. Peter Kennedy and Allan Smart have said that it was a great team to be in. I agree. We were what I consider to be a true team with a true team spirit. We worked hard for each other both in training and in games. It was a great team to play in. It’s just such a shame that we got such bad injuries the next year. I really believe that we would have had a fighting chance of staying up had we not suffered with the injuries. I still speak to many of the players, Smarty, Gibbsy and Alec mainly. When any of that team see each other though, we pick up where we left it and get on really well. And then it was the start of injuries for you. In the build up to the game at Wembley I got a groin injury. I remember moving my leg back to have a shot and Micah Hyde clipped me. I felt something pull. I was okay to get through the game. I went for an x-ray in pre-season and it showed that a piece of bone had actually pulled off of my pelvis. I had an operation and it cleared up the problem. I played in a couple of reserve games and got through them fine. I played in an FA Cup game against Birmingham and went off after an hour as I was knackered. The manager asked me to play in another reserve game to improve my fitness so that I would be ready for the game on the Saturday. Whether it’s fate, I don’t know, but two minutes in to the game I got one-on-one with Steve Ogrisovic. I shot, he saved, but we crashed in to each other. And that got me the injury that finished my career. And what exactly was the injury? It’s hard to explain. But basically I smashed my knee, which damaged the bones in both my knee and leg, and tore all of the cartilage. The cartilage had to be cut out so I had no protection between my bones. Every time I jumped or ran my knee began to swell. Unfortunately you can not regrow cartilage, so that was it. I’ve had five operations on my knee. I had two more last year. At some point in the future my knee will have to be replaced, but I’m trying to put that off for as long as possible. Initially I did quite a lot of media work, such as Three Counties Radio and Radio London. I also did some punditry work with Sky. I found it very interesting but the powers that be at Sky told me that my although my work for them had been very good, I was not George Best, and I didn’t have a big enough name. I went to do my UEFA coaching badge. It was a residential course and I was on that with Roy Keane and Tony Adams. I wasn’t confident enough though that my knee would hold up to day-to-day coaching. I needed to get a proper job, and I applied for a job at Phones4U as a store manager. I wasn’t sure if it was going to be for me. However, I have been there for five years now and it’s gone really well. I am now a Training Manager. A ‘normal’ job does make you realise what a great living football is. I was just fortunate enough to have a shot at football. I have no regrets and I am pleased that I gave it a good go. Well thanks for talking to us. Hope to see you at The Vic soon. I’d be delighted to. Thanks. Stuart Pearce - he was my hero when I was a kid and I was quite happy that he spent a game kicking me!